I have finished making my revision quizzes for the IGCSE exams this year. 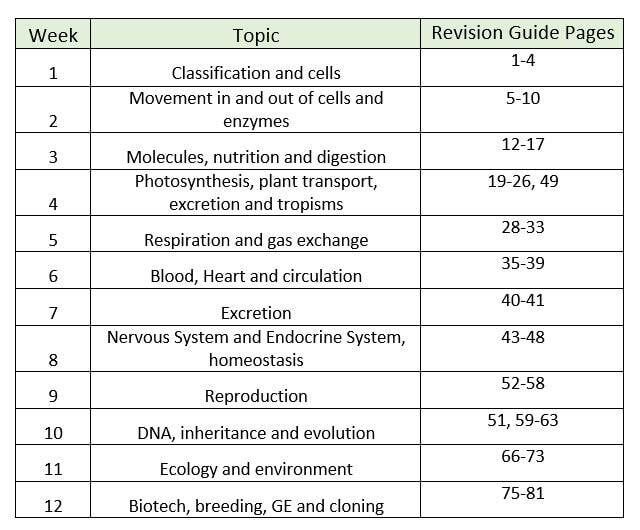 These are for the 4Bi0 syllabus and I will update them next year as we move to the 4Bi1 syllabus. They can all be downloaded individually or select the bundle to get all 12 at a reduced price. Gamification in education has been growing rapidly over the last few years. Gamification is the use of game design elements in non-game contexts. If you look at how people play games you find that their engagement is very high, they are more likely to take risks, learn faster from mistakes, collaborate and feel good about completing tasks. So by turning educational tasks into games the hope is that students will get all these benefits but within the context of a topic or subject that they need to know for school. Playing games in the classroom to help learn a concept is nothing new, but with advancements in technology this is now more then just a role play or paper loop game. Microsoft have seen the potential and have launched a special education edition of its popular Minecraft game which allows teachers or students to create whole worlds, recreate times in history or to test out theories. A nice example of gamification that I have just discovered for Biology is called BioBlox. BioBlox is a collaboration between Imperial and Goldsmith's Universities in London. The idea is to get students to visualise the complex 3D structures of proteins and how they dock with other molecules. There is a 3D version online and a fun 2D app that you can download for your smartphone. You can learn all about the various biological molecules as you collect them for completing levels. Leading Chartered Psychologist and Member of the British Psychological Society, Dr Simon Moore and his team have written a whitepaper detailing the significant number of advantages of game-based learning. They tested 30 students who were using a language based game and found that they were more engaged, enthusiastic and excited to be learning compared to the students who were learning Spanish with basic online exercises. The students also spent much more time voluntarily playing the game and improved their language skills twice as much as the control group. In summary educational games are going to become more mainstream over the next few years and in my opinion this is a good thing. We have to adapt the way we teach and make it more relevant. If we don't use the gaming technology to our advantage then it's a missed opportunity.